The scalable New Mexico map on this page shows the state's major roads and highways as well as its counties and cities, including Santa Fe, the capital city, and Albuquerque, the most populous city. To display the map in full-screen mode, click or touch the full screen button. To zoom in on the New Mexico state road map, click or touch the plus (+) button; to zoom out, click or touch the minus (-) button. To scroll or pan the zoomed-in map, either (1) use the scroll bars or (2) simply swipe or drag the map in any direction. (The scrolling or panning method you use will depend on your device and browser capabilities.) At any time, you can display the entire New Mexico road map in a new window or print this page, including the visible portion of the map. New Mexico's Interstate Highways connect its major cities and facilitate travel between New Mexico and its neighbors. I-10 crosses southwestern New Mexico between Arizona and Texas. I-25 traverses New Mexico from north to south, while I-40 crosses the state from east to west. The roughly 410-mile trip along Route 64 from the Navajo trading center of Shiprock to the town of Clayton passes through brightly-hued desert, mountains, and plains in northern New Mexico. This route twists through the reservation of the Jicarilla Apache Indians, known for their intricate woven baskets, and then through the town of Taos, famous for its art galleries and adobe architecture. Be sure to view the Capulin Volcano National Monument, an extinct volcano surrounded by chunks of volcanic rock. History buffs will enjoy traversing the old Route 66 between Tucumcari and Gallup. The New Mexico Route 66 Association is dedicated to the education, promotion, and preservation of Historic Route 66 in New Mexico. 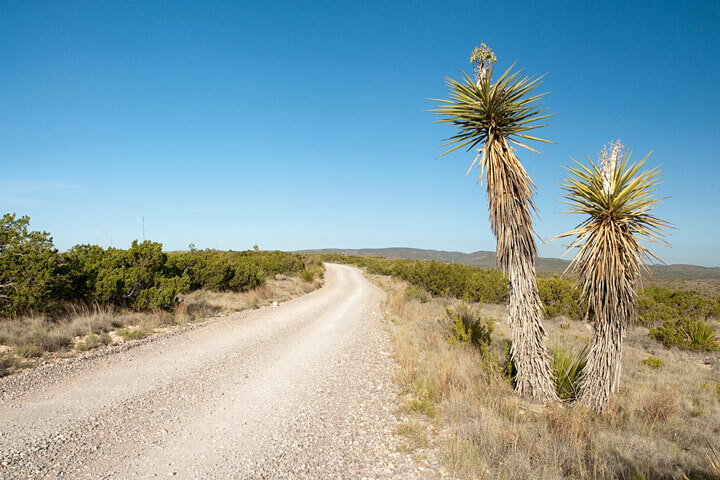 More information about scenic roads in New Mexico is available on this America's Byways: New Mexico page. For more information about New Mexico's roads and transportation infrastructure, visit the New Mexico Highway and Transportation Department website. For New Mexico road traffic conditions, visit the Federal Highway Administration's New Mexico Traffic Information page.